This gorgeous cake is from Nigellas latest book (and TV program) Nigellissima . 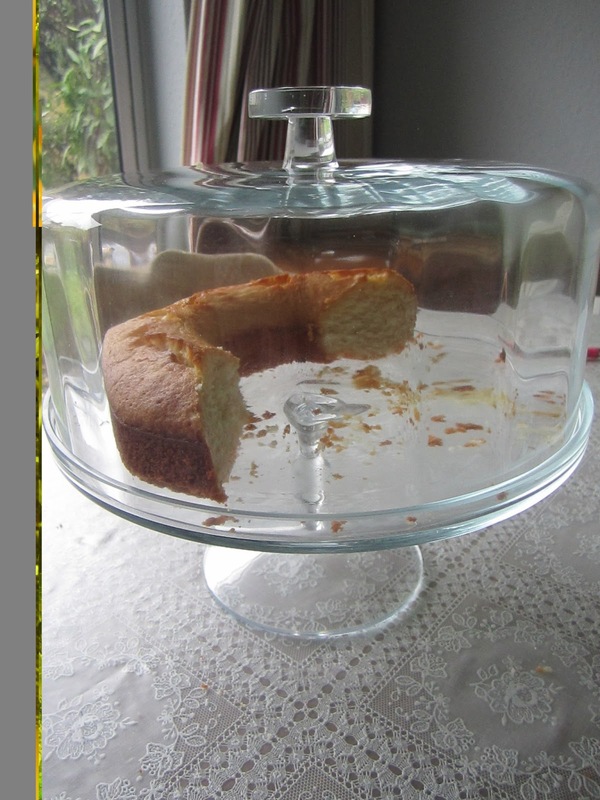 It is, thus far, not my favourite of her books -I have only made the Meatzza ( not too impressed with it) and this cake from it so far. Normally her books are so inspiring I tend to make a lot of things from them when I first buy the book. Anyway this cake is both comforting to make, look at and eat. It is a beautiful pale yellow and damp and soft-crumbed to eat. 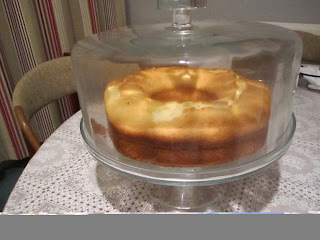 It is a plain vanilla cake with a slight lemony flavour and tang from the yoghurt. It is also very easy to make. It is called yoghurt pot cake as the yoghurt pot is the unit of measurement, but she does thankfully give the metric measures as well. I have had a mishap with my camera so there are not many pictures but hopefully you get the idea…. Separate eggs and whisk the whites until you get firm peaks. Add the yoghurt to the eggs and use the yoghurt pot to measure out other ingrediants. Fill the tin with the batter a bake for 30-35 minutes-sides should be coming away from the tin. Remove from tin and let cool for 10 minutes before turning it out. Once cooled dust with icing sugar.